Kampung Glam, located near Nicole Highway of is one of the interesting places in Singapore. Series of old shop lots reused to fit in programs from hotel, to restaurants and bar. 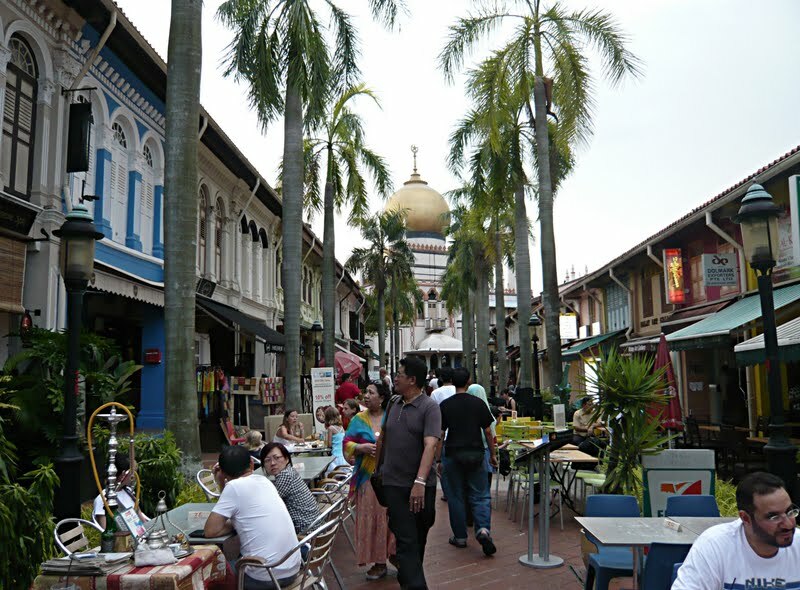 The morphology of the district is a regular grid system consists of several streets named as name of Malay, Indo as well as Arab with one main street overlooking the a landmark Sultan Mosque. Food from Malay, Indo, Arab as well as Chinese brings people together and the eating atmosphere is being drawn out to the space between shop lots. Shop houses with distinctive character and landscape as well make the place interesting. 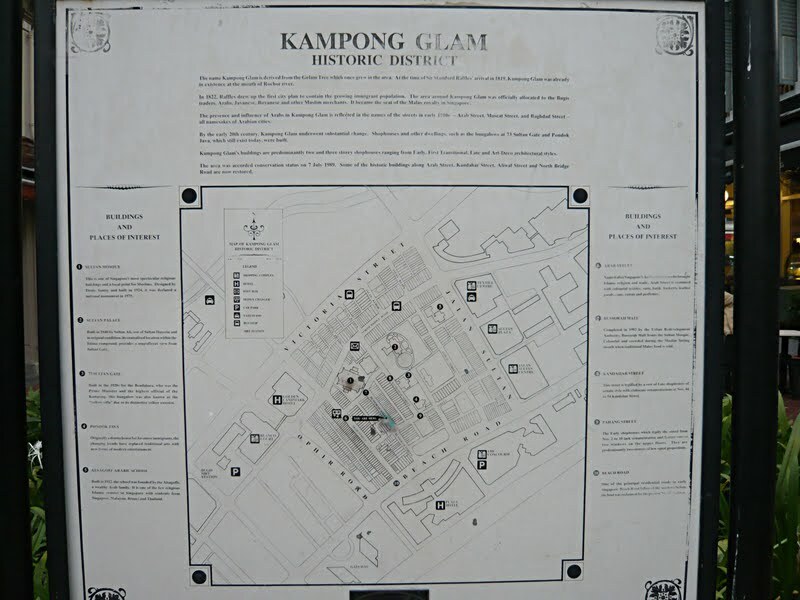 The district is within a walking radius of a kilometer from Bugis.